Has anyone ever moved across the country, by car, with babies? Has anyone ever had to convert twin babies to a completely new life? Has anyone ever traveled excessively in their local area with twin babes? I mean, like, to the beach, to the lake, to the city, to the farm, and back again? Has anyone ever tried to celebrate their twin babes’ first birthdays with everyone they love? Baked cupcakes with no sugar? Survived the One Year doctor’s appointment? Twin babies with Roseola? Twins being sick and acting like complete crazies? All while trying to FaceTime their dad everyday who is six hours ahead? I am not the first and I will not be the last. And while I have found solace in knowing this is life, it doesn’t cease to blow my mind when I think about all that has happened to us since the beginning of June. Slowly, I will be getting back in the swing of things. Professionally speaking. I hope. And I’m starting here. With my series of postcards mailed to me by the people I know. The above postcards were the first postal items to greet me at my new residence. And what a sight for sore eyes they were. 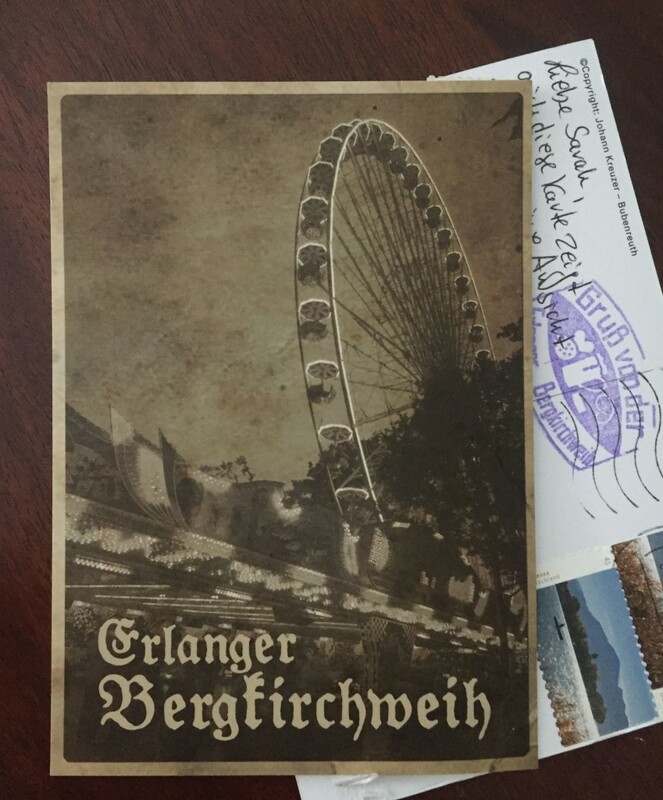 For me there is such a simple, wholesome joy that postcards bring. And I know I’m not alone in that either. Everyone loves mail from around the world. I enjoy these particular postcards for so many reasons. (They are vintage, they are from Germany, they are from a festival, they are from a friend…I could go on and on.) In fact, I’ve written about this same subject almost exactly a year ago. So if you know me too, and like postcards too, please send me one. I will read it, blog it, and save it forever. And many years from now, when my kids can read, they will think I am a total dork, but they will love the postcard book I have made. And it will make them geography-happy. How beer drinking is different in the Philadelphia area than the El Paso area. 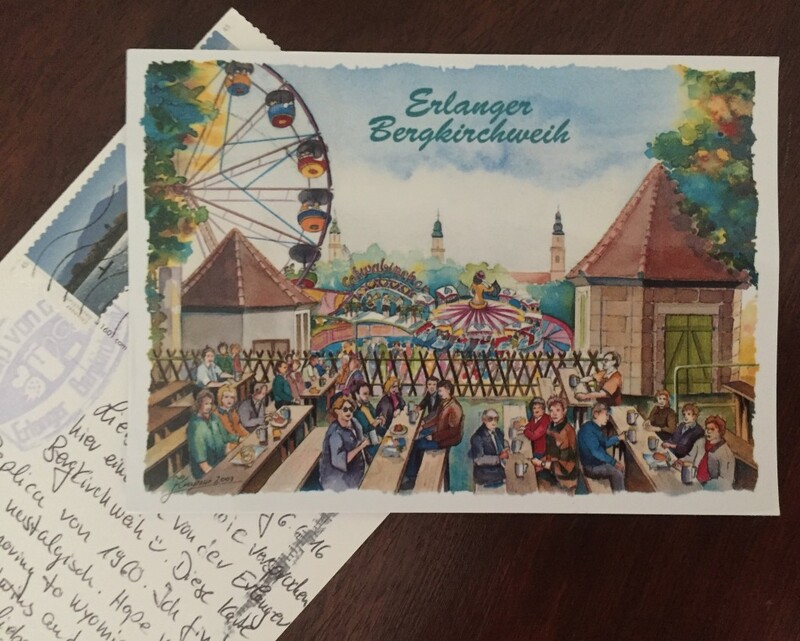 This entry was posted in Creative Indulgences, Travels, Uncategorized and tagged art, germany, Life with Twins, Postcards.